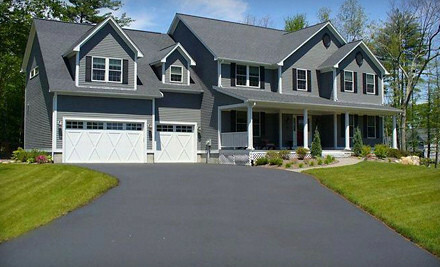 Everlast Blacktop takes pride in every driveway paving or driveway sealcoating project we complete. We offer every type of paving and blacktop driveway repair in the industry. If your asphalt driveway is cracked, faded or in need of repair, a fresh driveway sealcoating is just what you need. Our qualified team can assist you in making recommendations and providing information on maintaining your blacktop driveway, or new asphalt driveway for long lasting durability and satisfaction. We have built a reputation as a well-established, respected and trusted name in the driveway pavers industry. You can count on Everlast Blacktop! South Elgin is rich in history, culture, recreation, and natural beauty. That’s in part to the picturesque valley carved out by the Fox River in which the village lies. The nearly 22,000 residents of South Elgin enjoy a high quality of life in this thriving, hardworking community located in Kane County, Illinois. Proud to serve Kane County and South Elgin are the driveway paving services of Everlast Blacktop. We know the hard working people of South Elgin expect quality, durability and customer satisfaction when they need an asphalt driveway or driveway sealcoating for their home or business. Everlast Blacktop delivers! With over two decades of driveway paving knowledge and experience behind our name, Everlast Blacktop is the top company in driveway pavers. No matter how big or small the job, we have the equipment and the resources to complete your project fast and with accuracy. Everlast Blacktop takes pride in completing requests promptly and to the customer’s complete satisfaction. We guarantee you will love your new blacktop driveway or driveway paving job! Don’t wait, call us today to get started. In the South Elgin area call (630) 855-5572. Tell us a little about your project and we'll get in contact with you right away to discuss details and price.